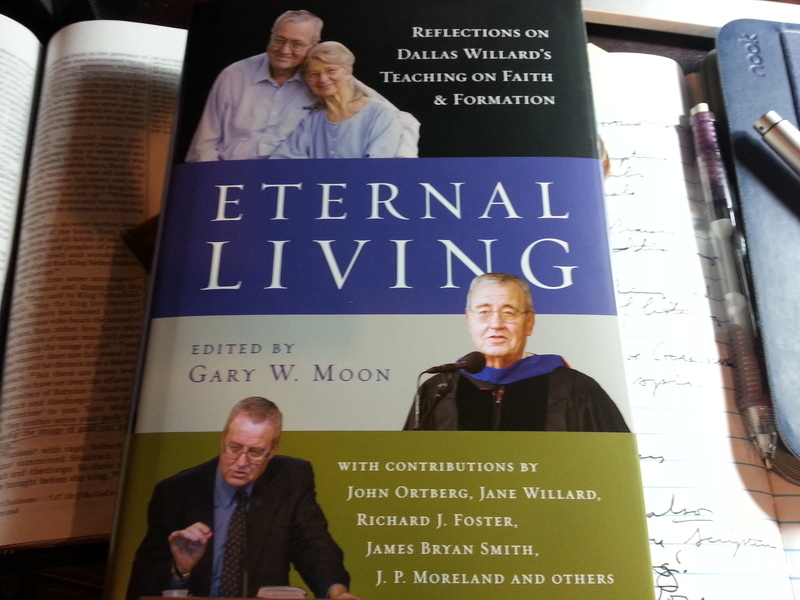 I received a review copy of Eternal Living: Reflections on Dallas Willard’s Teaching on Faith and Formation from IVP. I am under no obligation to give it a positive review. The book is full of testimonials from all facets of Dallas’s life. He was a family man, a leading professor of philosophy, and a church leader/teacher/reformer. Family members, close friends, colleagues, former students, and more line up to tell Dallas stories. If I had ever had the chance to get to know Dallas (and I did have the pleasure of meeting him once), I know their stories would have been my own story. Every one of them could remember two things distinctly: the first time they met Dallas and the last time they spoke with him. They could also remember just about every other time they connected with Dallas and here is why: Dallas let each person be the center of his focus when he was with them. When people were with Dallas, he was WITH them. He would let phones ring, doorbells ring, let people stand waiting in the hall, etc. He gave people attention. He answered questions. He gave humble answers. The other witness of some friends is true of my own life learning from Dallas from afar: He was impossible to understand. Several freely admitted it took years to get what Dallas was saying. I felt so relieved! Here are smart people saying they didn’t understand Dallas! I just chalked my own ignorance up to my lack of brains! For those who plow through the writings of Dallas Willard and find yourself on a journey learning from him, this book is a marvelous treasure. He was so deeply loved. He was easily the smartest man in the room… and the most humble. What an incredible combination. This book is a treasure in my collection of Dallas Willard writings. I was so thankful many writers included new Dallas phrases that I have not yet read in Dallas’s books. He could summarize Kingdom truth with such power! It is possible we will be able to hear from Dallas for years to come. He left so much unpublished. I hope the work continues. People were always asking Dallas questions and would often begin with “Hey, Dallas.” Ortberg gives these quotes in that fashion. I am grateful for yet another volume of reflection to keep me stirred about a man that will affect my life for years to come.